The mummy of the female ruler was wrapped in more than 20 layers of fabric and buried with a fascinating treasure trove of gold and weapons. However, as noted by National Geographic, what role she played in her community is still a mystery. 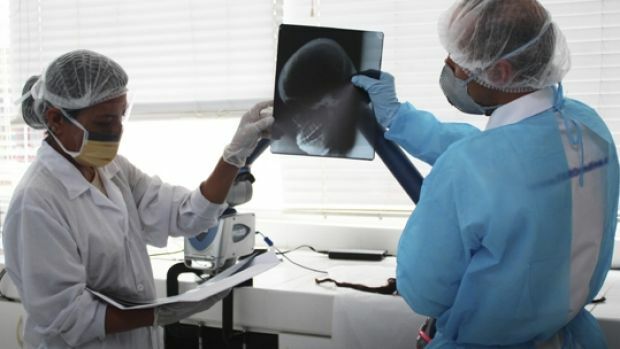 “Without written records, we don’t know who she was,” says John Verano, an anthropologist from Tulane University who assisted in both her unwrapping and her facial reconstruction. However, experts were able to deduce that she was an important figure—perhaps the wife of a ruler—or most likely ruled on her own. The female Peruvian ruler died when she was in her twenties when she reigned over a desert Valley in Peru some 1,700 years ago. Her body was intricately tattooed with symbols depicting snakes, spiders and other mythological marks. Now, thanks to revolutionary digital forensics technology, we can see what the Lady of Cao looked like after her 3D imaging revealed her face by culture officials and archaeologists. Using the remains of Lady of Cao’s skull, experts were able to recreate her face in a process that lasted around 10 months. The remains of the Lady of Cao were discovered in 2005. Experts have concluded that the Lady of Cao most likely died due to complications of childbirth. The wait was worth the while. 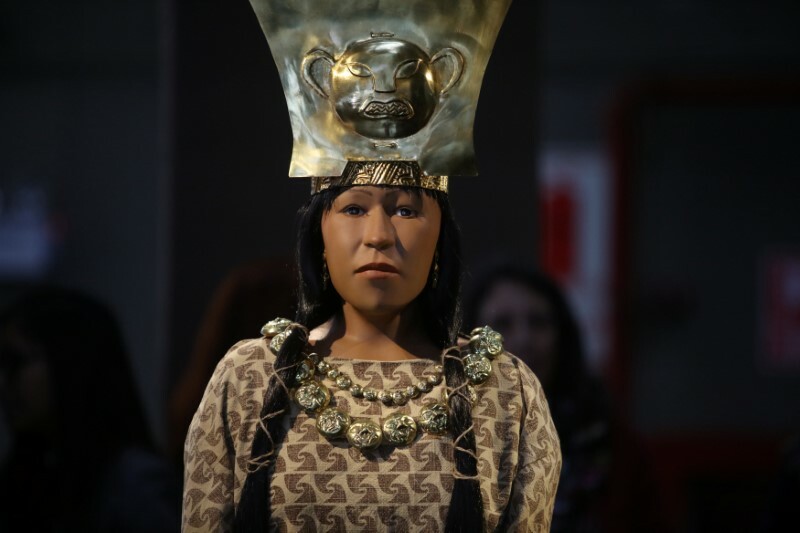 The international group of scientists was led by experts from Peru’s El Brujo museum where the Lady of Cao’s mummy is currently on display. Using a state-of-the-art handheld laser scanner, experts scanned and took images of the remains of the Lady of Cao. The scanner—which according to reports was used for industrial purposes—has been adapted and is widely used in forensic investigations. After experts scanned the remains of the Lady of Cao, data was submitted into a computer software which ‘stripped’ away her facial skin and revealed the bone structure. With the use of various computer programs, experts then placed different ’tissue-depth markers’ on the skull of the mummy, and added tissues to the 3D model. Experts note that the mummy’s skull shows the high cheekbones and facial proportions that are typical of the Moche culture. The Moche were an ancient society that occupied the Chicama Valley from around 100 to 700 AD. Since there were no written records left behind by the ancient society, experts have a hard time identifying who the highest ranking members were from their society. Experts only know the Moche were extremely sophisticated, creating elaborate art, murals, metalwork and fascinating monuments. “It’s the exact same process you’d go through hands-on in the traditional method, adding clay to a model, but it’s rolled into the digital environment now,” said Joe Mullins a consultant on the project in an interview with National Geographic. Lady of Cao was found buried with a ‘strangled adolescent’, who experts believe may have been a sacrifice to help guide the ruler into her afterlife.